Norton Estate Wines is situated on a hilly terrain towards the south west of Horsham; halfway between the majestic Grampians and Mount Arapiles. 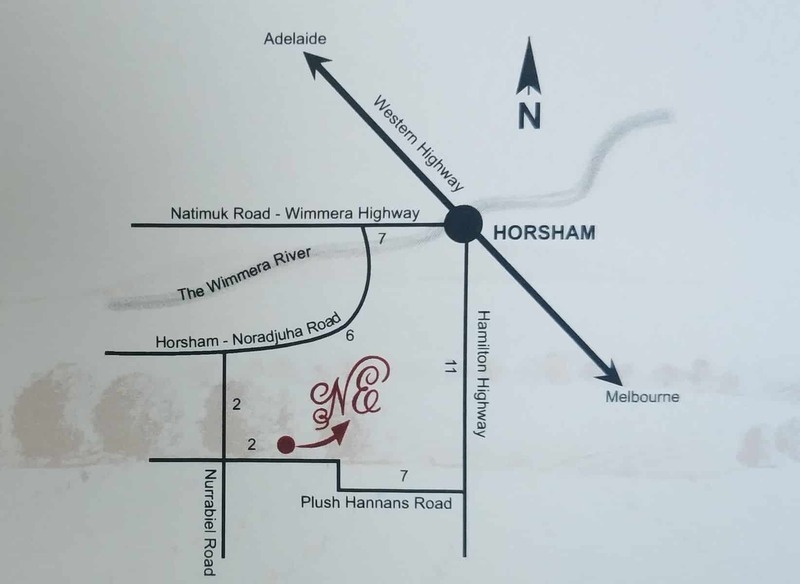 This estate is located in one of the popular wine regions in Victoria, well-known for some of the finest boutique wines. The vineyard is set on a frost free elevation and with the soil rich with loamy buckshot, it is ideal for grape cultivation. The soil and the area’s Mediterranean climate, adequate rainfall, and profuse sunlight provides the perfect setting for grape cultivation. Therefore, Norton Estate Wines is able to produce some premium wines. The vineyard is beautifully managed to ensure better and low yields, with the viticulturists still following the traditional pruning and picking methods. As a result, the winery is able to produce some quality wines, from the best quality fruits. Today, Norton Estate Wines is among the best wine producers in Victoria. Norton Estate is popular for its sparkling wines, Shiraz, Sauvignon Blanc and Cabernet Sauvignon wines. Each of their wines showcase a varietal character, rich flavours, complex taste, and balanced acidity. In short, these wines are perfect to satisfy all types of palates The Arapiles Run Shiraz is their signature wine and has been able to win a few awards and accolades. Visitors to this winery can taste an array of wines at the cellar door. Visitors are welcome to sample these tasty wines and purchase those that entice their palate. The cellar door also offers a number of daily specials on specific bottles.